Technology on a thru-hike. Combining these words tends to rouse some heated debate. Some people abstain entirely from technology during their hikes, opting only to keep in touch with loved ones while in town. Some are nearly constantly plugged in, listening to music and/or podcasts all day, posting Instagram updates every time they get service, constantly checking Guthook’s app, even watching movies in their tents at night. Most thru-hikers fall somewhere in the middle. We check in with our hikers to get their take. 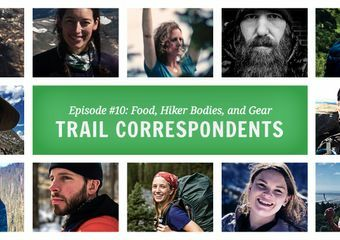 Specifically how they interact with technology on trail, how they witness their fellow hikers using it, and whether it’s ultimately good or bad for the hiking community at large. Their answers shine good insight on this seemingly paradoxical relationship with devices in the backcountry.